Artist who do well, also know that to close more deals at a show, you can’t be a sweating mess, dealing with nerve exhaustion by the time the show officially opens. The ones who do it so easily have learned from experience that hauling display equipment and doing their own set up and breakdown is not the best use of their time and energy. 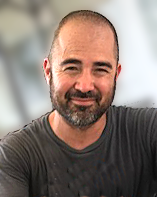 Hi, my name is James LeBlanc and I’m the founder of The Tent Guys. 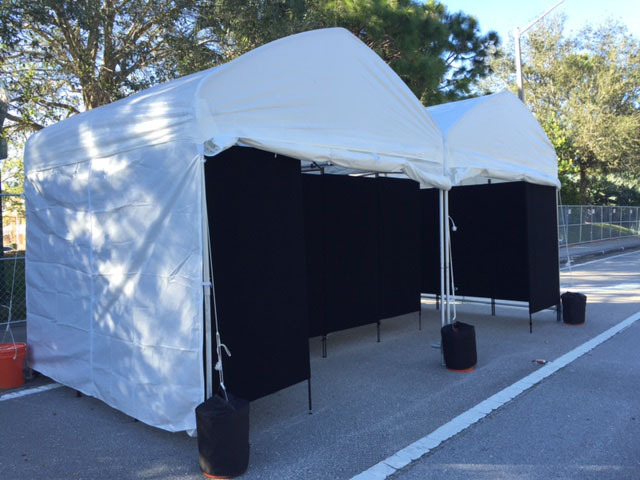 We are a full service rental company specializing in Artist Tents and Pro Panel rentals. What makes us different, is we have a clear understanding of the artist’s perspective because I myself have been working outdoor events and festivals for 15+ years. 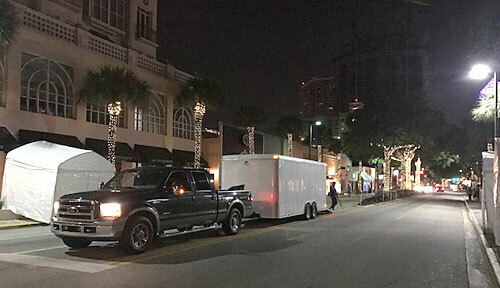 If you’re an artist who no longer wants to travel with your own canopy and art display equipment because you’re tired of set up and tear-down, and the other hassles that go with it, or you want a professional art tent and pro panel set up without actually having to buy one, I think we can help you. 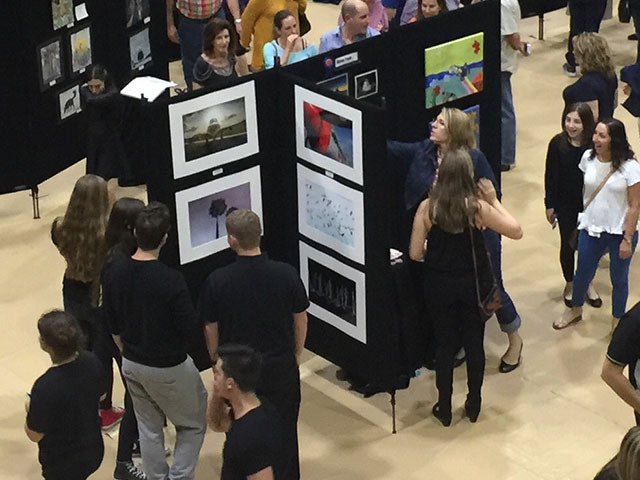 The art show promoters we work with, have come to depend on our company because they know the artists will get a professional, clean and sturdy art display system, without hassles or unpleasant surprises. Reliability – You can sleep tight knowing your rental art tent and pro panels will be set up and waiting for you when you arrive. We make sure all our vehicles are properly maintained, and we have a back up vehicle on standby for any breakdowns – and of course, we always pack extra equipment. High Standards – We strive to keep our equipment clean. We often set up all of our inventory to inspect and clean thoroughly. 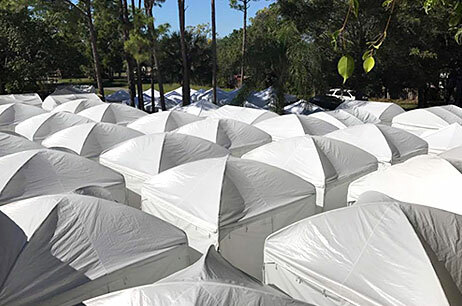 We use bio degradable degreasers to ensure our tents stay bright white. Professional Equipment – Our tents are different than your average tent because they are designed by artists. They are sturdy, water tight, and the tops let just the right amount of light transmission through (we only use Light Dome tents.) They come with stabilizer bars, weights, and have waterproof vinyl sides attached by zippers. The tents are flame retardant and the walls can be secured in moments to protect your art. Art Specialist – We only rent artist equipment. 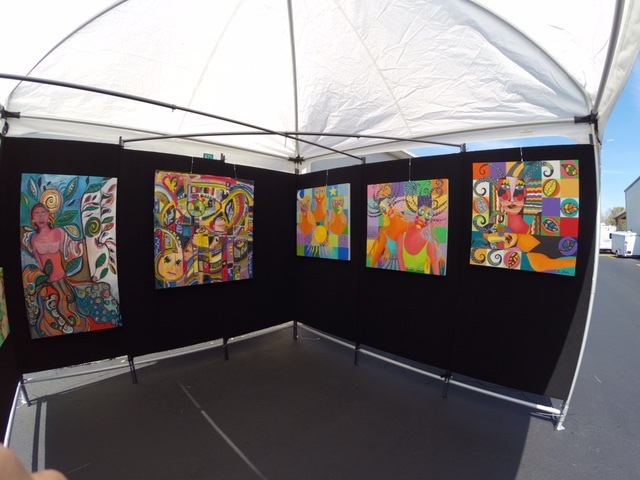 We rent the art tents and pro panels that you need to exhibit your art properly so you can sell more of it. These are the same canopies top promoters expect from their artists. Efficiency – Our employees have years of experience. They do the set up and breakdown in a timely manner. 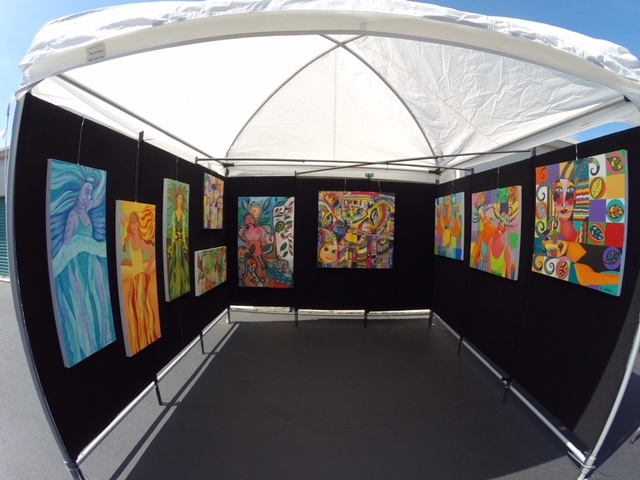 Whether you’re looking to have someone else do all the hard work at your next art show – or you want a professional artist booth but don’t want to buy one, call The Tent Guys today at (561) 374-1783 for a Free Consultation and Estimate. Our clients do it easily, and you can too! “We tried something new and hired the Tent Guys. From the first phone call, tothe end of the show “The Guys” were professional and friendly. We’ll definitely consider this again for other shows. We’re really glad you have this service available. It’ll come in very handy as we’re considering some Florida shows and this could make a difference for us! The light dome tent we rented was as nice as our own. You’ll sleep tight while the crew is setting up in the wee hours of the morning so everything is ready when you arrive. We often set up our canopy inventory to inspect and clean thoroughly. We use Pro Panels because of their sturdy construction and polished look that presents your artwork in a professional manner..
Have Questions? – Call us at (561) 374-1783 or click here to email us. The Tent Guys is a full service rental company specializing in art tents and pro panel rentals. No content on this site may be reused in any fashion without written permission from ArtistTents.com. Design by: Local Marketing Today.